Selling bookable products in your WooCommerce store? 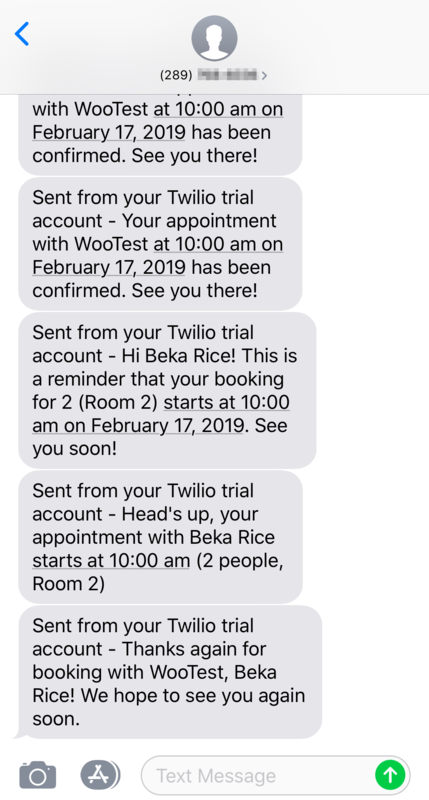 You can now send SMS reminders for appointments via Twilio for WooCommerce! 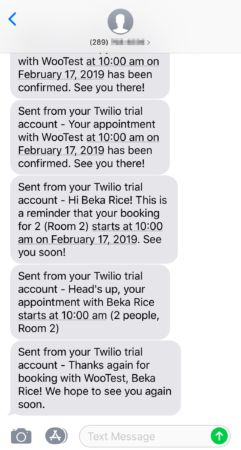 📱 Version 1.12.0 of Twilio for WooCommerce adds a WooCommerce Bookings integration to configure SMS reminders for your bookings. When both plugins are active on your WooCommerce site, you’ll see a new “Bookings” settings section under WooCommerce > Settings > SMS. Here you’ll be able to determine what the opt-in checkbox says at checkout when a bookable product is in the cart, and configure booking reminder messages. You can send admin reminders, which are sent to a phone number of your choice, as well as customer reminders, which are sent to the customer’s billing phone number based on the booking schedule. 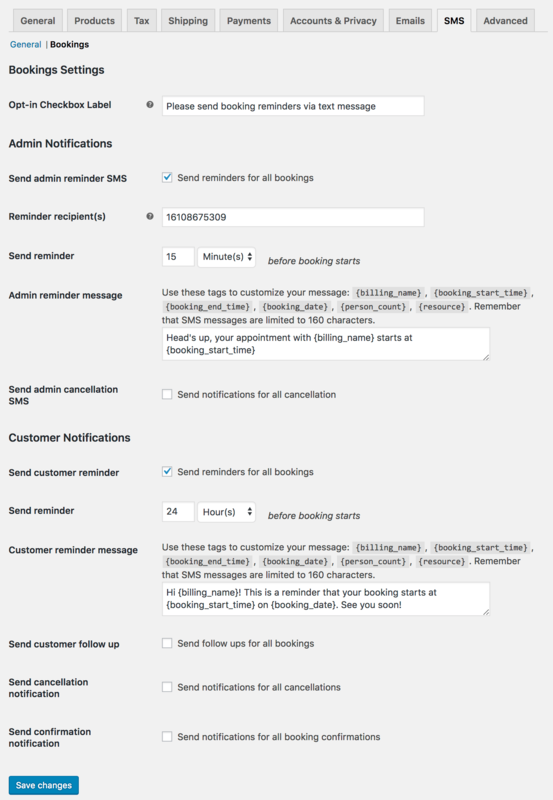 These notifications allow you to remind customers before appointments, notify them of cancellations, or follow up after a booking to thank them for attending or to gather feedback. 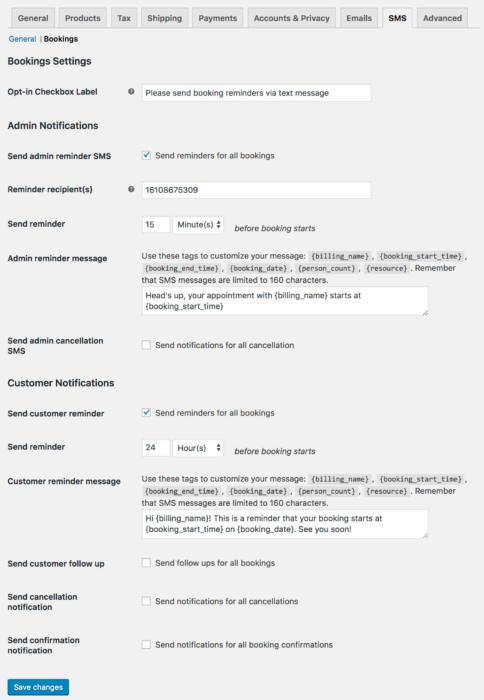 Admins or employees can be notified of booking changes as well — be sure your team is aware of customer cancellations in real time or reminded of appointments a few minutes before they begin. You can find a full list of notifications here. 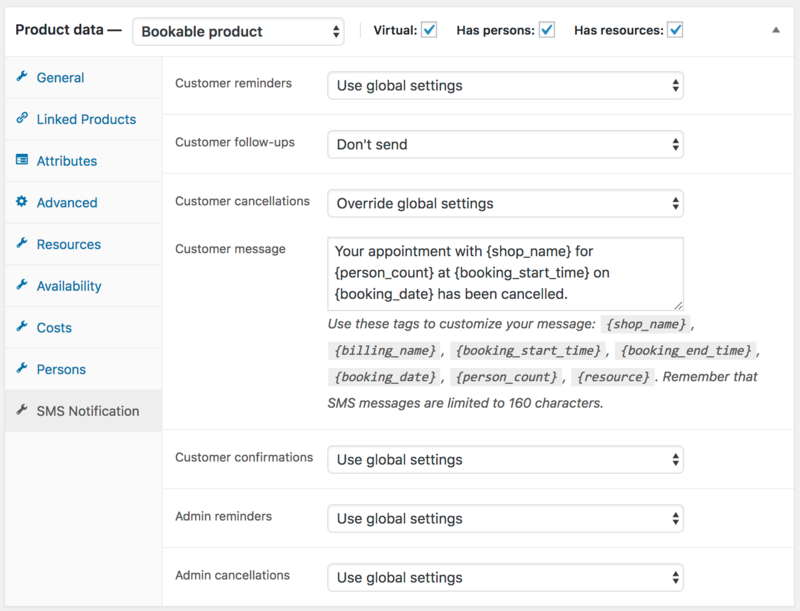 Messages can also be overridden on a per-product basis: adjust customer messages or the included merge fields within your message to tailor every SMS to the product purchased! Be sure that customers are always reminded of their appointments in a timely and convenient way via SMS. Check out the Twilio documentation for full details!